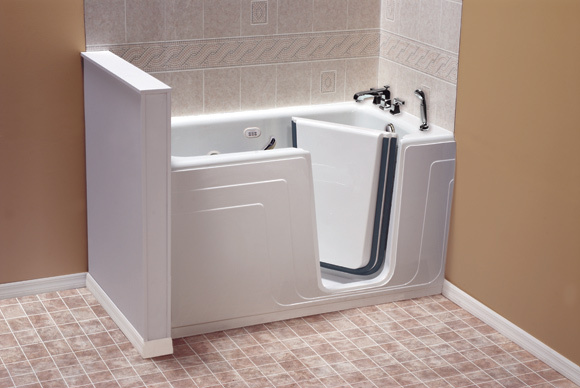 JettaStone is a distributor of a complete line of walk-in bath systems and whirlpool bathtubs. Our design and jet placement gives you the maximum hydrotherapy experience by placing jets at your back, hips and feet. All of our tubs are totally insulated to retain heat, eliminate motor noise and vibration. We offer three types of popular whirlpool tubs – Jetted, Air Massage and Combination tubs — each providing the best of both jetted therapy and air massage. Each whirlpool is totally insulated. Extra depth on each tub. Upper back jets on Advanced jet systems. Passive warm air induction using the motor to assist in maintaining water temperature. Customized pump locations for easy access. 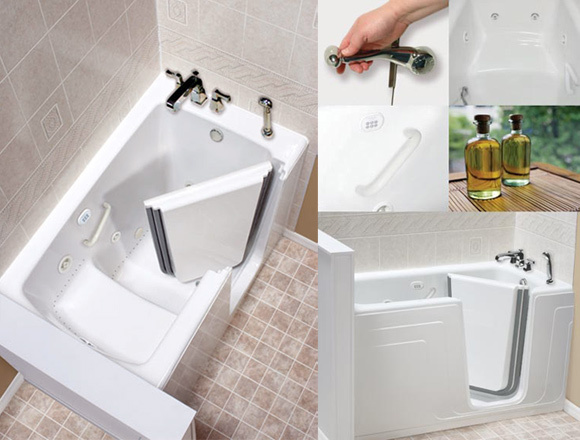 Walk-in baths offer the freedom of easy and safe access so you can enjoy a satisfying and sanitizing bath. Lucite® cast acrylic construction with Microban® antimicrobial protection. – Microban inhibits the growth of bacteria that cause stains and odors by intercepting bacteria at the bath surface. It won’t wash off or wear away. Tubular Steel Frame – the 1” tubular steel frame provides integrity and features a protective coating to resist rust. Ergonomic Door Latch and Handle – the extra long handle is designed to provide additional leverage while securing the door. The handle has been ergonomically designed for easy use by those who may have limited strength or mobility. Double Door Seals and Heavy Duty Hinge – durable double door seals ensure that Passages™ walk in door will not leak. The heavy gauge hinge is bolted into the stabilizing frame adding superior strength and durability. Access Skirt Panel – a fully insulated skirt panel is easily removable and provides full access to the steel framing and mechanical components of the bath and the plumbing connections. ADA Height Seat – the built-in seating incorporates a 17-inch ADA compliant seat height. Low Threshold Assistance Bar – built in assistance bar for additional safety and convenience. Textured, Slip Resistant Floor – Passages™ walk-in baths feature a textured, slip-resistant bottom and softly rounded edges and corners for added safety and comfort.